Hola Face Value friends! Today’s makeup look is a rose gold inspired face. Think burnt copper, crushed gemstones, glints of champagne reflected by candlelight – today’s makeup look is Summer’s answer to smokey eyes and is perfect for a dinner date or a cheeky stopover at a chic wine bar. Rose gold can be flattering on so many skintones and it’s not just for your cheeks or lips. I never really wear colour on my eyes but rose gold is so subtle – it’s almost like taupe and it really works! I’ll be honest, when I first tried it, I just looked massively boooooozed (thanks, asian drinking genes!) but with the right balance of smoke and definition ie superfine eyeliner and a coat of fluttery mascara, it’s really very, very easy. Today, I’ve gone for rose-tinted eyeshadow, with a flush of rose on the cheeks, and a shimmery champagne rose gold on the lips. And the real beauty is …I’ve only used 2 products to achieve it! The star of this look is this Emotional Brilliance Liquid Lipstick by Lush. It’s called a Liquid Lipstick but it’s a dream to use on cheeks too as it’s velvety smooth and not sticky at all. With Rose Wax and Jojoba Oil, it’s super hydrating and I love the creamy, yet smooth, feel on my lips. This shade is called Perspective and it’s a beautiful dusky, champagne rose with a lovely subtle radiance set through it. On my eyes, I’ve used the rubbish-name-but-amazing-value 12 Colour Generation 3 Eyeshadow Palette – the Urban Decay Naked 3 dupe which I found on Tmart.com. For more details on the palette (and why I’m doing this stupid face) read my full review here. Super close-up selfie coming up! 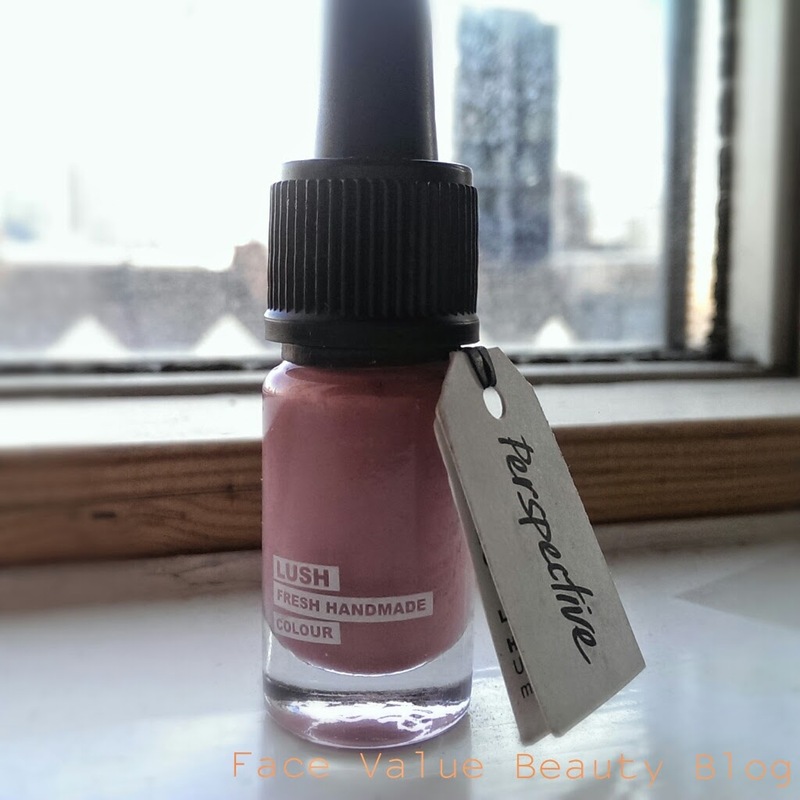 So there we go – my Rose Gold Summer Smoke makeup look using Lush and Tmart. What do you think? Would you wear these colours? If you haven’t, you should try it!! I normally steer clear of anything which isn’t brown, grey or black but I’m really pleased with this. Have you tried any of the Lush Emotional Brilliance range? I cannot wait to try that lip color from lush! It's fabulous! It's such a great multitasker – i love it!